Sh. Yassir Fazaga will be returning to Memphis Islamic Center the weekend of April 26th – 27th to discuss the important topic of overcoming Grief & Trauma. In light of the New Zealand attacks, we wanted to ensure our community had the proper resource and outlet to discuss this issue. We highly encourage families to attend and spread the word to friends and community members. 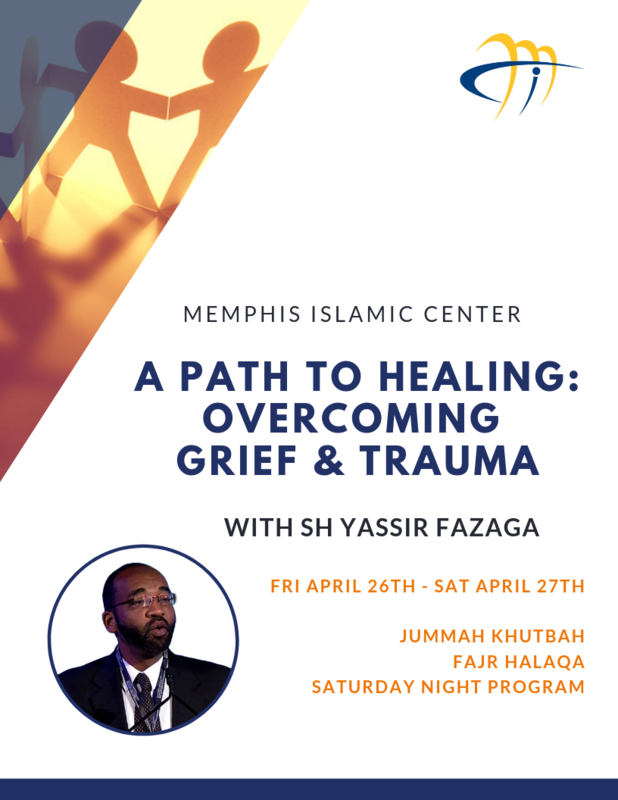 He’ll be giving the jummah khutbah at a local masjid, Saturday Fajr Halaqa at MIC, and the main Saturday night program at MIC.